> was designed for ball bearings at both ends. Now that's interesting! I'm going to have to go though my generators and see if there's a ball bearing unit among them. 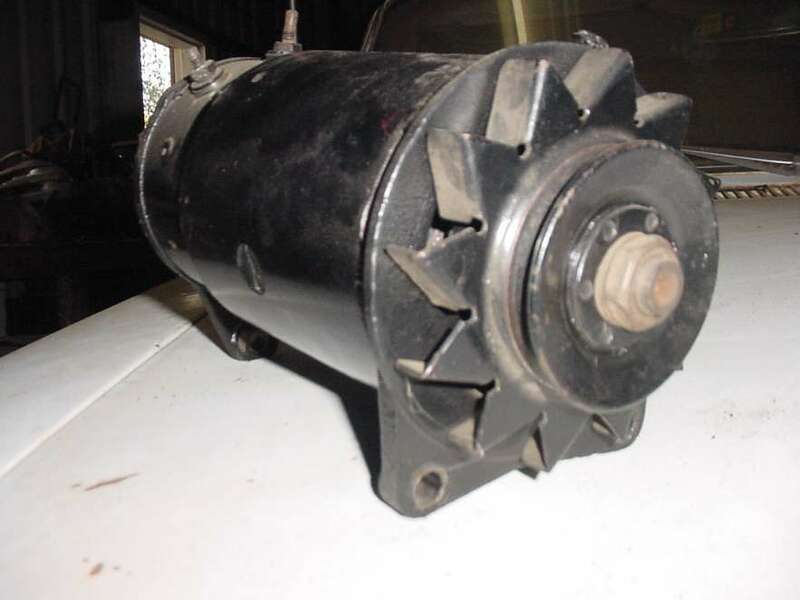 My Rampside would rather have a cool generator than a generic generator or alternator. Thanks for sharing Chet! If you can't find a suitable replacement for the foam filter element, you can make your own. What you need is 60 pore per inch reticulated (open cell) polyeurethane foam. I make filters for my motorcycle by cutting a strip of the right dimensions and sewing the ends together. Airtex 86000 foam is available at at the local A-1 Foam store in various thicknesses. If you can't find it through a store, I would think it can be found on line. Are you sure Chet? 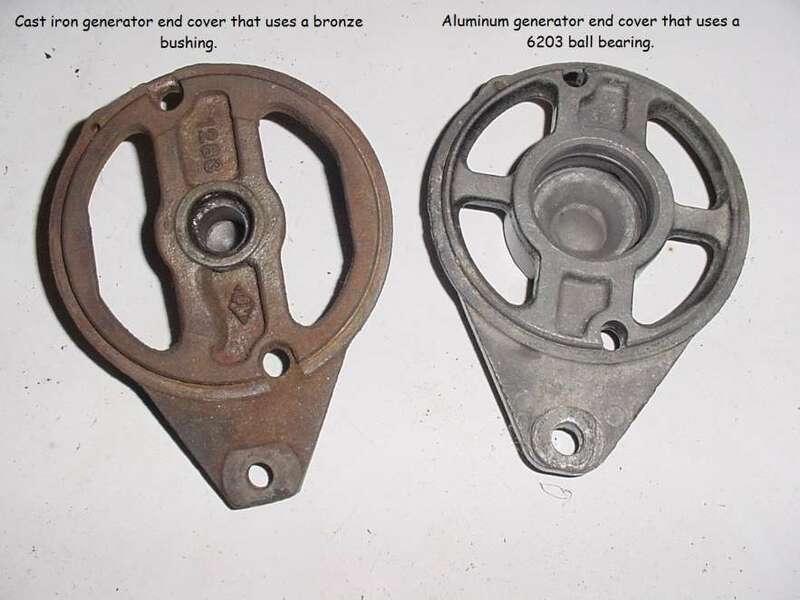 the "rear frame" of generator pictured in my previous post uses a bronze bushing ..... ball bearing in front frame Do you have a picture of the heavy duty FC & AC cast iron generators? 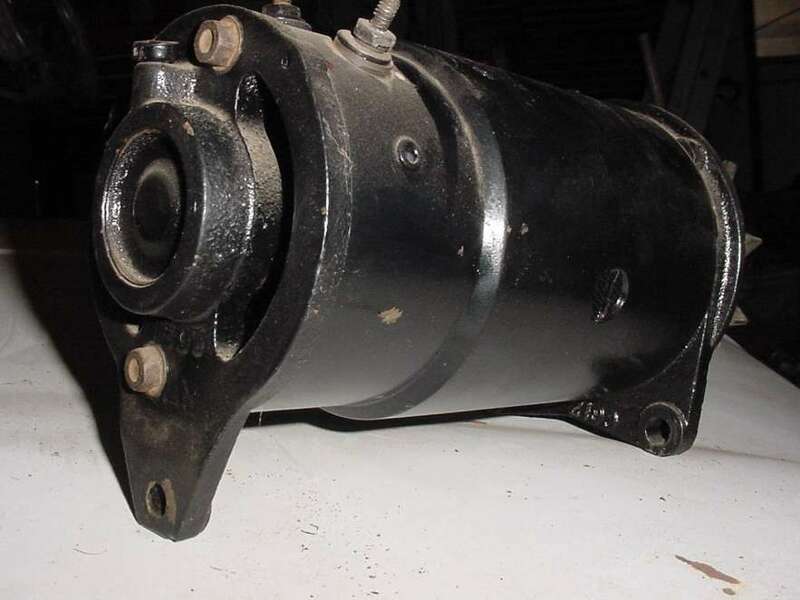 Large HD generator with ball bearings at both ends. 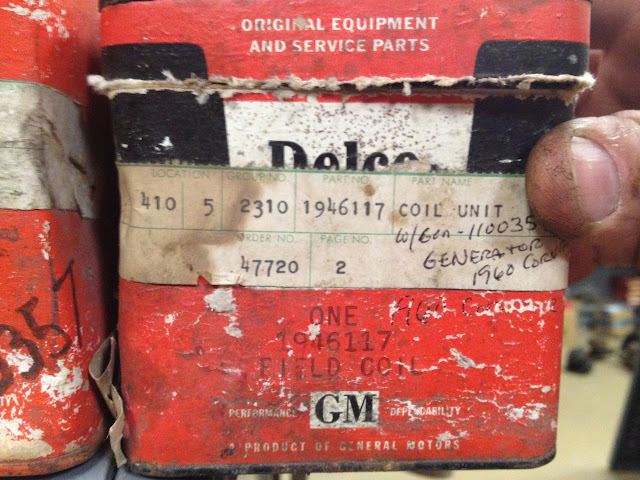 By any chance was the heavy-duty generator with ball bearings the same one used on all the larger GM cars? It would make sense to me. 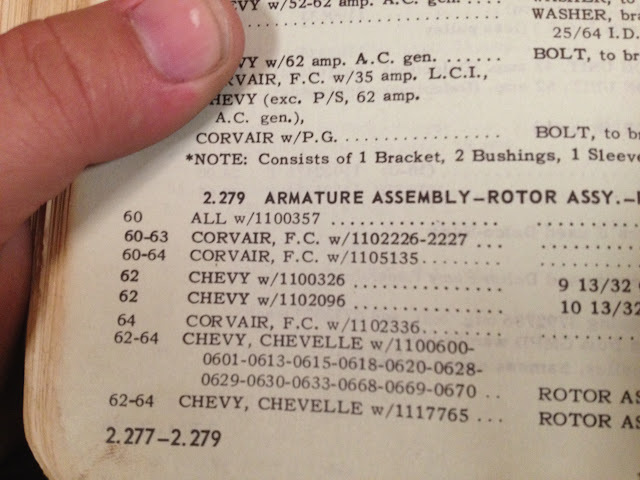 The larger cars GM made in the early-mid 60s had much heavier duty parts on them than the smaller cars did. My 60 Olds Dynamic 88 had huge brakes and finned drums. 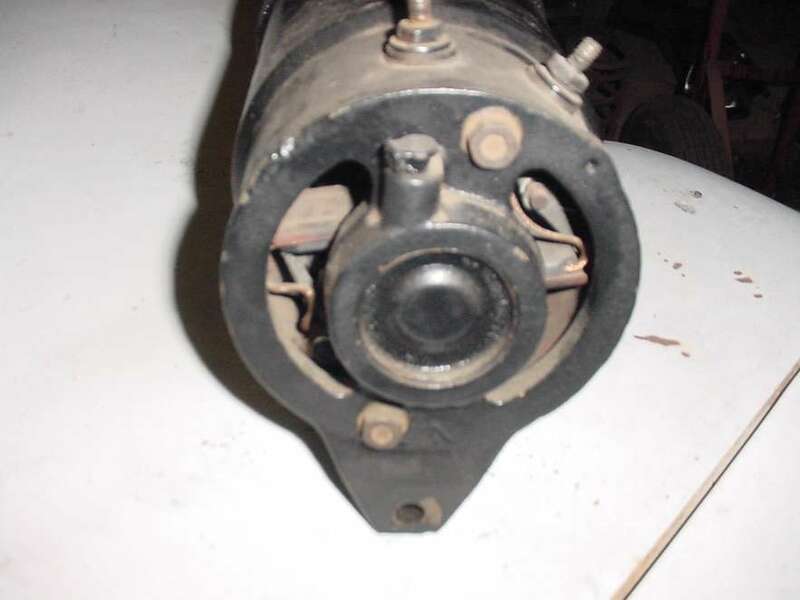 Once, while changing a tire, the bumper jack let loose, and the car landed on the brake drum (on concrete), with no damage whatsoever. I found a SUPER RARE new old stock notchless headlight bezel on ebay and I just recieved it in the mail .I had to pay LARGE for it sharp seller knew it was a first design bezel. Cross section of original 1961 Corvair whitewall tire , you can see the large amount of unexposed whitewall rubber in the sidewall more of the white rubber was exposed in the very wide 1960 whitewalls . 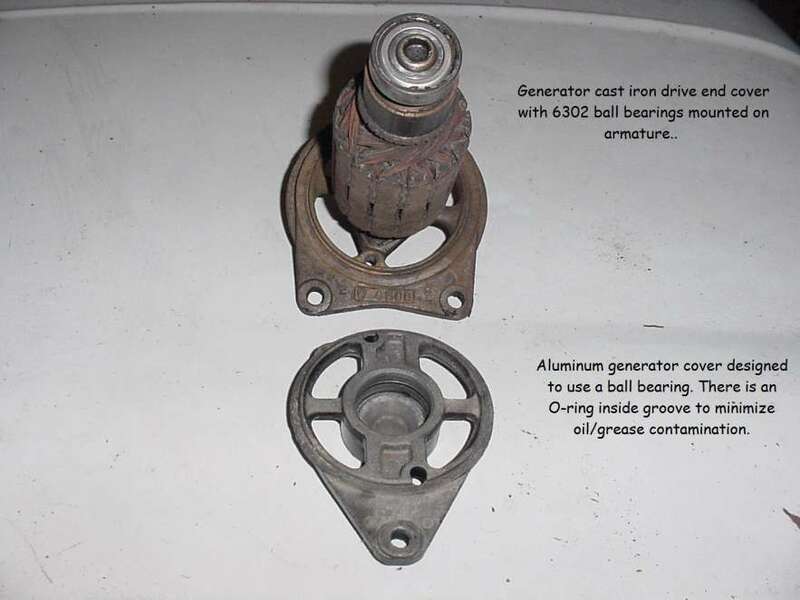 Mel my Dad has what I think are some early short generator parts. He has a NOS set of fields and a NOS armature. Send me a PM if they are something you might be interested in and I will put you guys in touch. 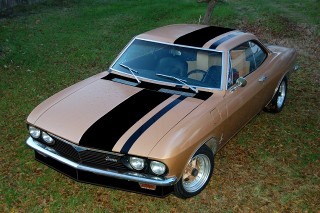 Both numbers come up as 60 Corvair only. Love that tire, one of my Dads friend has the rig for cutting the tire side walls and for painting them if necessary. I saw them widen whitewalls and add a redline to a tire that never had one. The design of ALL whitewall tires is that way - current ones too, though the white strip is probably not 2" wide, it is wider than the exposed stripe. Just rub the curb a while - you'll see! Same story goes for white letter -its a whole white strip. Back to the generator subject for a second. 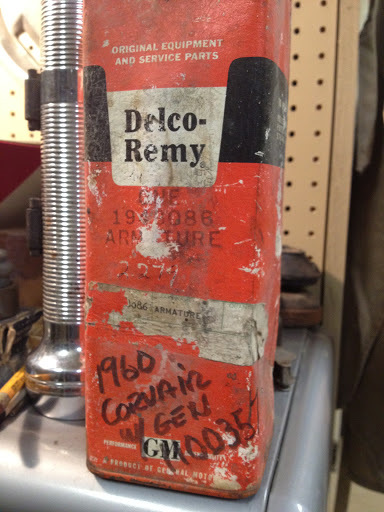 I was just watching a Mecom auction on Velocity Channel, they were showing a 57 BelAir stock 283 V8, the power steering pump was attached and driven on the back of the generator! That could be a reason why some early gens had such a beefy bearing on the back. Carry over from the full size generator (sans the PS pump on the Vair). 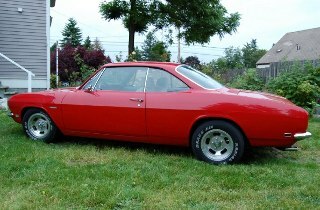 My name is Robert Jennings and I am the admistrator of the CORSA special interest chapter 003, CAVEMAN CORVAIRS, THE 1960 GROUP. We have a Facebook Page; [www.facebook.com] , and a Facebook Group; [www.facebook.com] and I invite you to join the group and like the page. I just puchased a nice (NOS GM ?) gasoline heater exhaust pipe to keep in stock for #272 . Got it from Jasvair on ebay, Clarks sells a repro exhaust pipe but likey not a nice as this original example.Very rare piece.